Recently i had a crash for my proxy server, so i had to disable it for my network. 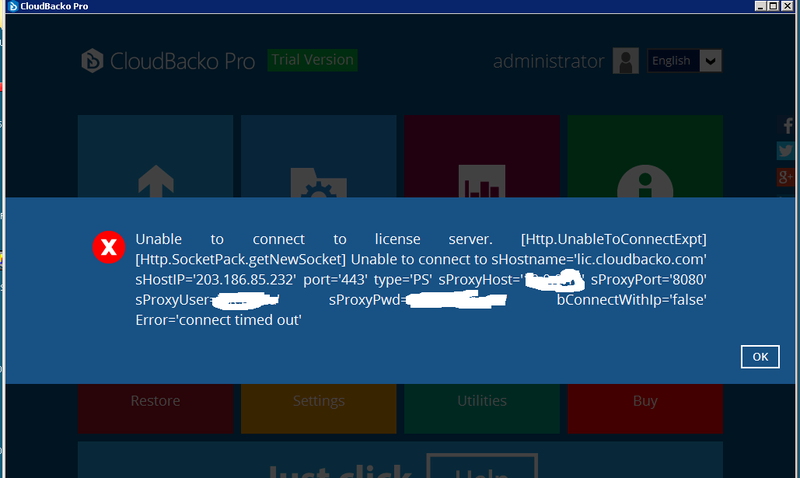 Now i can't open CloudBacko in order to change the proxy server for it to access the internet. Been looking for config files but i can't find out where to change it. Is there any way to change proxy settings without unninstall/reinstall with subsequent licencing and restoring issues? 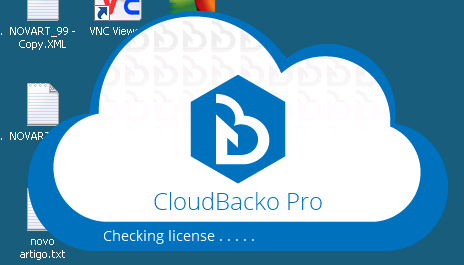 May I ask what did you get when opening the Cloudbacko GUI? Are you able to connect to the Internet without the proxy? And yes, proxy is now disabled so i can access internet without the proxy. Thank you for your reply. Would you please check the [Settings] to see if the Proxy has been switched off? The problem is i cannot access the GUI because of that error. After the error above, the GUI closes and i'm unable to do anything. My question was: can i switch off proxy without the GUI? In such case, would you please try relocating the .cbp folder and open the Cloudbacko GUI again?